Our facilities are available for private hire every day from 8am - 8pm (weather depending). All facilities can be booked online 24x7 through our secure booking system. Mendip Plains has a large outdoor school, 50m x 90m with a sand and fibre surface and radius corners. 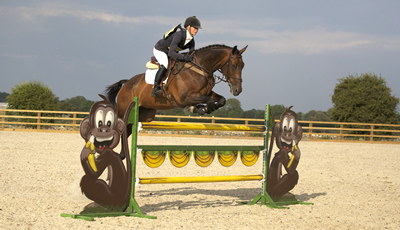 Available with the arena is a judges/ commentary box with a timing and PA system. 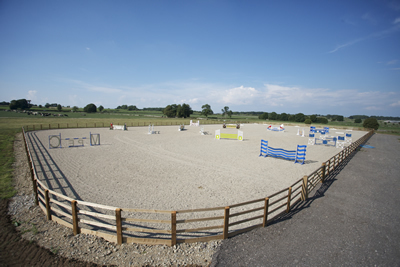 Part 2 – 60m x 50m Show jumping arena. 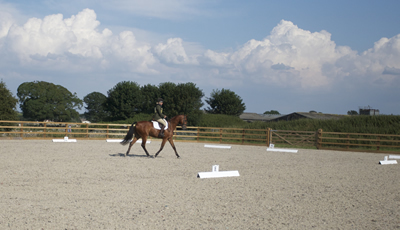 Part 1 – 50m x 30m Flat work arena @ £15 per hour any additional horses within the hour are charged £5 each. 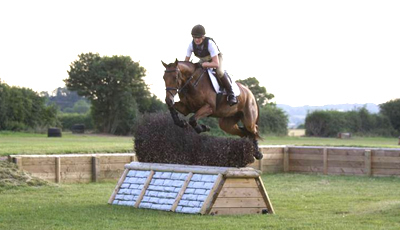 Part 2 – 60m x 50m Show jumping arena @ £22 per hour any additional horses within the hour are charged £8 each. 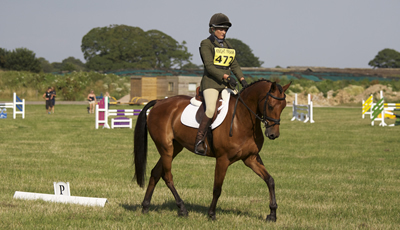 On some occasions before or after a dressage competition the arena will be available to hire with dressage boards, this will be stated on the website as 'arena hire with dressage boards' and will cost £20 per hour any additional horses within the hour are charged £5 each. * Discounts for Children can be applied on the final payment page by using the discount box. 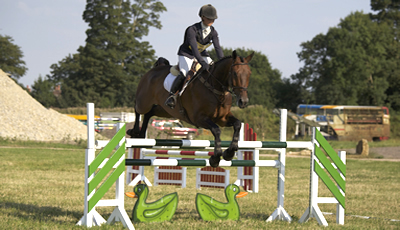 From 8am - 8pm; Show Jumping will alternate weekly from Grass to the Outdoor Arena. Please check when booking.